These ideas for a quick hitter and a counter to run against a Box and 1 Combination Defense came from the FastModel Sports Basketball Plays and Drills Library. “Gut” looks to get the ball inside against a box and 1 defense. 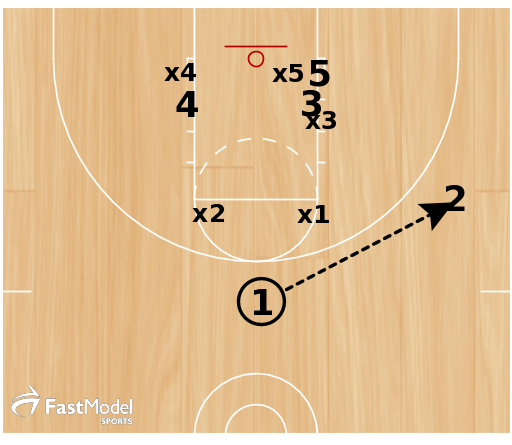 The play starts by the point guard passing a guard on the right-wing. 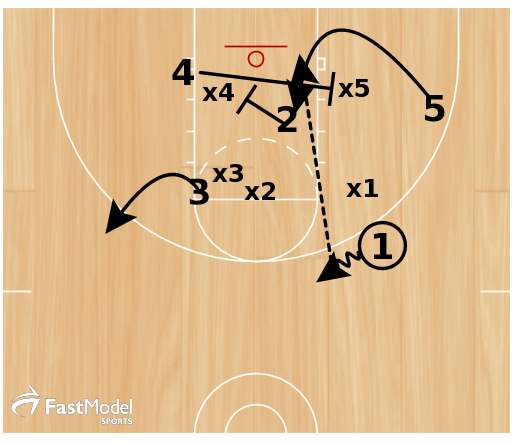 The guarded player then goes to opposite elbow area while a pass to the corner is designed to bring the bottom player of the zone out away from the block. After passing to the corner the guard cuts hard looking for a quick give and go and one the point guards catch screens the weak side of the zone bringing the 4 man right into the gut of the zone for a quick pass. 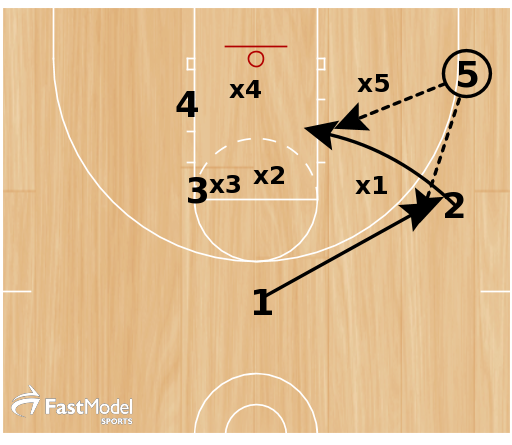 After setting a screen the guard will then receive a screen by the post player creating some misdirection and difficulty for the defense. 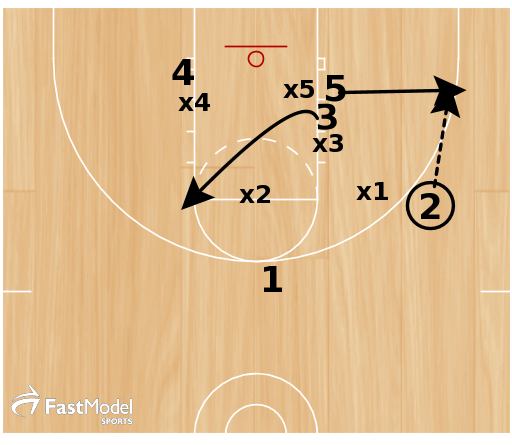 Gut is designed to take advantage of the bottom two players in a box and one. It is initiated with a pass to the wing player. 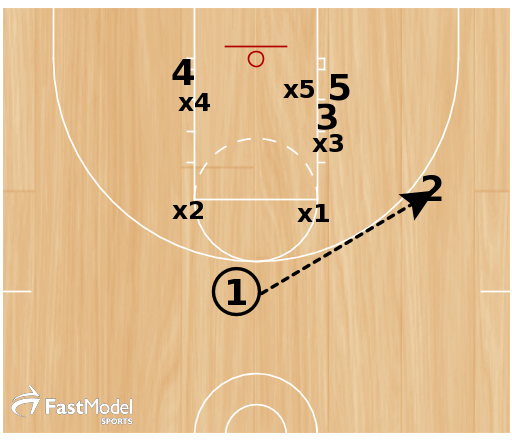 Offensive player #3 is the player being guarded man to man. 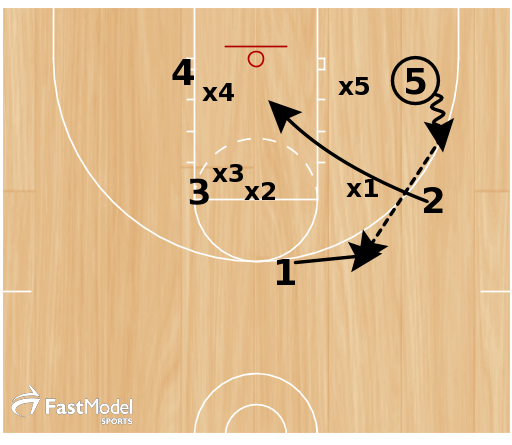 The guarded player then cuts to the opposite elbow while the ball side guard passes to corner/Short corner area. 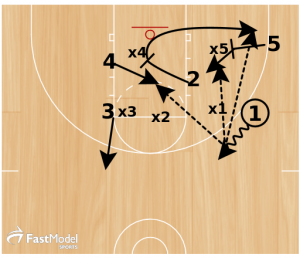 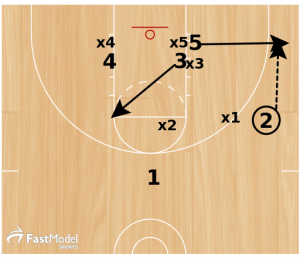 2 man immediately cuts to the hoop looking for a quick give & go and 1 man fills across. 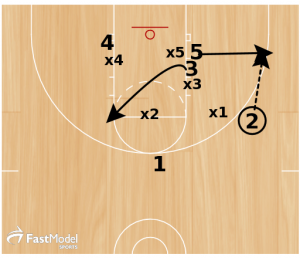 2 player finishes cut and screens weakside box defender bringing 4 player to “gut” of the zone while 1 man takes a misdirection dribble towards top of zone. 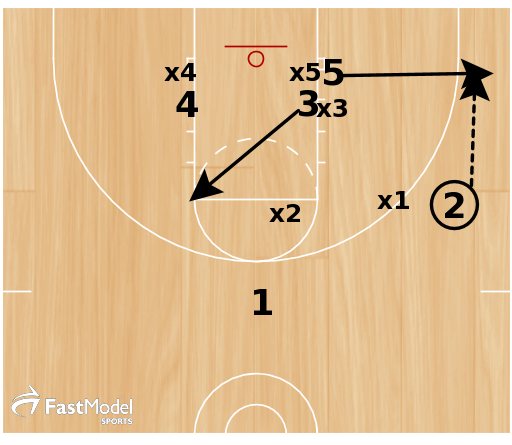 5 man then screens in bottom zone defender and 2 comes off baseline screen. 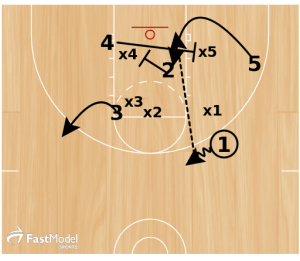 The counter off of “gut” is “gut again” where we use the same action as before but we are now trying to screen the bottom two defenders in the box allowing our 5 man to catch again in the gut of the zone.